No matter where you are, you can always find a spectacular show for our 4th of July. Here are the top events that caught our radar in celebrating our Independence Day. 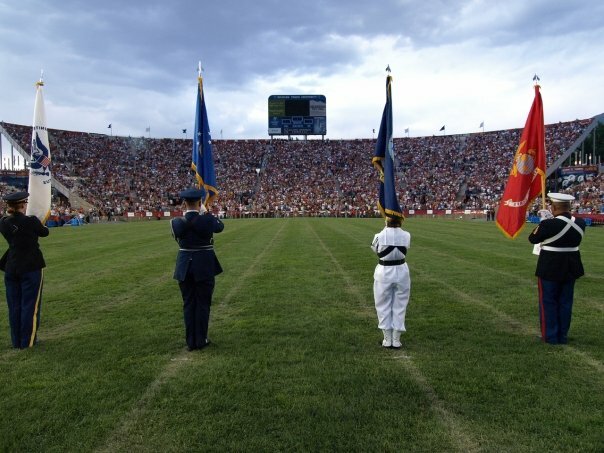 A tradition held since 1877, this celebration includes two particular events that allow participants to "experience a greater feeling of patriotism, feel gratitude for the sacrifice and service given to our country, join in unity as a community and sense their personal obligation to sustain and preserve these values." The Grand Parade starts off the day at 9am and is completely free to watch. With intricately designed floats, giant helium balloons and professional performers, the parade promotes our freedom and the American dream. You can also reserve bleacher seats for only $7 at the Utah Valley Convention and Vistors Bureau. Then end the night with a performance by The Beach Boys for their 50th anniversary tour at the Stadium of Fire. You can even see the country music star Scotty McCreery with tickets ranging from $25 to $120. You can even check out a video of last year's show. At approximately 9pm, Macy's will begin their 36th annual tradition of the world's largest fireworks display in this year's "Ignite the Night." Right off the Hudson River, this exciting event will feature more than 40,000 fireworks with performances by Katy Perry and Kenny Chesney. You can view this show from any area with an unobstructed view of the sky, but for the best views, go over to 12th Avenue right below 59th Street. There are several access points from there to watch this free show. Right at the banks of the Charles River, hundreds of thousands of people come to hear the traditional "1812 Overture" by Tchaikovsky followed by an array of aesthetically pleasing fireworks. With special performances by Jennifer Hudson, MAMMA MIA! and even the Dropkick Murphys, make you sure you don't miss out on this free event! Starting at 10am, this event is introduced with a celebration of music and even reading of excerpts from the Declaration of Independence. Then the Philadelphia Independence Day Parade starts with marching bands, floats, military organizations and more throughout Historic Philadelphia. In the afternoon, the Party on the Parkway features games, entertainment, activities and food for the whole family. 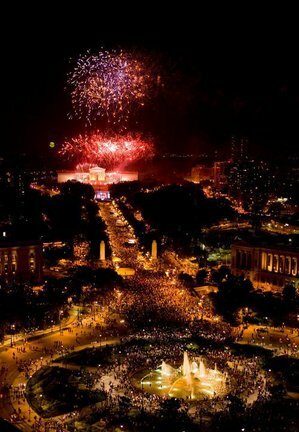 Finally to end the night, The Roots perform for the Philly 4th of July Jam, along with special guests like Queen Latifah, as the amazing fireworks display over the Philadelphia Museum of Art. Tom Bergeron, Emmy Award-winning host of "Dancing With the Stars", will be hosting America's favorite 4th of July celebration this year. An all-star cast will be followed by John Williams, five-time Academy Award-winner, conducting his "Olympic Fanfare." Right on the West Lawn of the U.S. Capitol, there will be a musical tribute for American legend Gene Kelly's 100th birthday and even an Olympic Tribute to Team USA. Gates to the lawn will open at 3pm, and the show will begin at 8pm. Sit back and enjoy Independence Day at the nation's capitol with a breathtaking view of the fireworks. Bristol's Fourth of July Parade starts at 10:30am and continues off of Chestnut Street and Hope Street. This particular parade is one of the oldest 4th of July celebrations in the U.S. starting back from 1785. Attracting hundreds of thousands of spectators, the parade showcases bands and drum corps from all over the U.S. Every year, they bring in a visiting ship, the Carolina Crown, Drum and Bugle Corps, and other traditions. This year's visiting U.S. Navy ship will be the USS Whidbey Island. Floats will be judged for the Most Patriotic, Most Beautiful and Most Original. There will also be a Top Military Honors and Best in the Parades Award, so make sure you don't miss this established parade. Why not celebrate this year's Independence Day at the happiest place on earth? At Walt Disney World, several different theme parks will be showcasing their unique choice of fireworks. 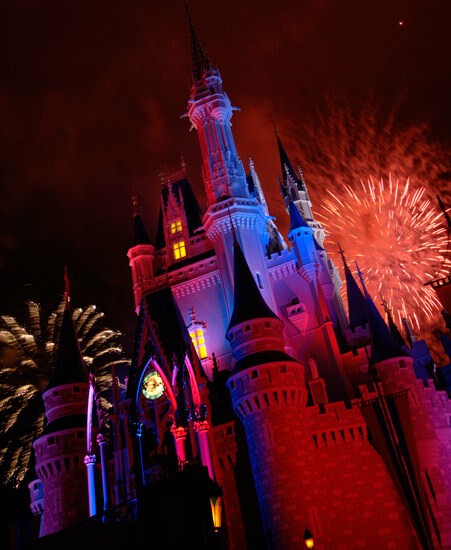 At the Magic Kingdom, "Celebrate America Fireworks" will begin at 9pm, and immediately following will be Disney's "Main Street Electrical Parade", filling their magical streets with lights and music. At Disney's Hollywood Studios, a special fireworks show will be added as a bonus nighttime entertainment extravaganza right before the "Fantasmic!" show. Epicot's famous "IllumiNations: Reflections of Earth" will include a patriotic finale, and early in the day, there will be the Voices of Liberty 4th of July Concert on the America Gardens Theatre stage. Epicot will even top off the afternoon with guest appearances by Betsy Ross and Ben Franklin throughout the promenade. In Downtown Miami's Bayfront Park, you can commemorate one of the largest fireworks displays in South Florida. Enjoy your Independence Day by celebrating with your family and enjoy children's activities, food and drinks. The park is open all day, and the Kids' Zone will be open from 3pm-7pm, with inflatables slides, a "kiddie carousel," hoops, face painting and more! Fireworks start at 9pm, so make sure you bring friends and family to kick off America's 236th birthday. Celebrate this national holiday at the beautiful South Lake Tahoe. Rated as one of the top five displays in the nation by The American Pyrotechnics Association, these fireworks feature a variety of lights, design and shapes. They can be viewed from all over town, however there are a couple sweet spots that can make this the best 4th of July. The Tahoe Queen and the M.S. Dixie II can give you a front row view right on the lake. Nevada Beach also serves as a great location to view the fireworks as you barbecue at the beach. Other beaches that you can enjoy the night from are the Regan and El Dorado beaches. Edgewood-Tahoe is also selling limited amount of tickets to observe the art in the sky from their private clubhouse. Tickets include the private viewing area and a buffet of roasted sea bass, king crab legs and more! Start off your Independence Day with Napa County's parade, featuring decorated cars, live bands, and Sam Brannan! Then head over to the fairgrounds and participate in all the games and contests they offer! Enjoy your time with classic games like the egg toss and gunny sack races. 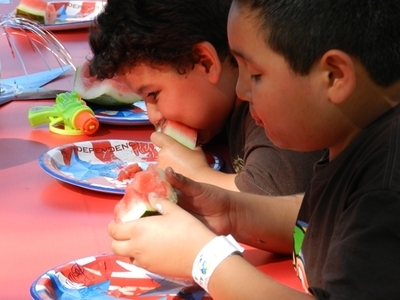 Get messy with their pie eating and watermelon eating contests too. After a show by The Pyronauts, you can relax and appreciate the view under Fireworks Spectacular!